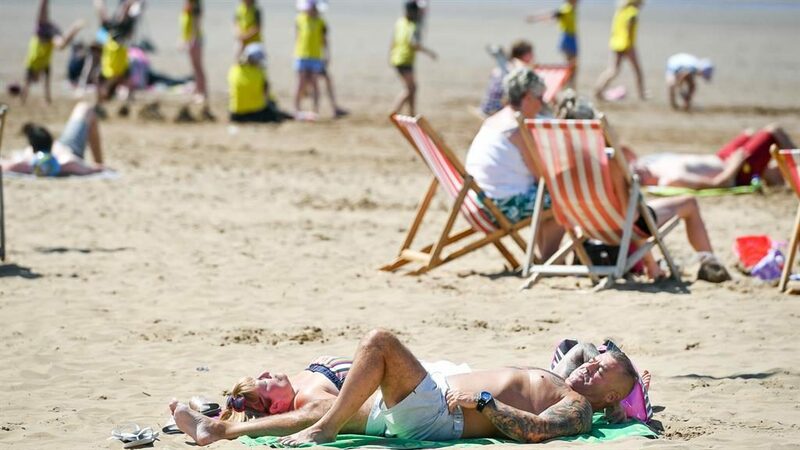 BRITAIN is on course to be warmer than Marbella in an Easter holiday heatwave. Following last week’s freeze, temperatures are tipped to soar across the country as the four-day weekend approaches. The mercury is forecast to rise as high as 23C in some areas — hotter than Majorca in Spain, Saint-Tropez in the south of France and Greek island Corfu. Daytime temperatures plunged as low as 8C only days ago — with nights hitting freezing across the UK — but have already begun rising ahead of peak warmth this weekend, the Met Office said. London and sheltered areas in south-eastern England could reach as high as 23C, compared with Marbella’s 20C. Cardiff is tipped to hit 21C on Saturday, as are some areas of Northern Ireland. Glasgow and Aberdeen could reach 20C. The Met Office’s Simon Partridge said: ‘After a chilly spell this weekend, we are going to see temperatures gradually increase through the week. But this weekend will fall short of the warmest Easter on record — 27.8C at Heathrow in 1949 and the same in Wisley, Surrey, in 2011.